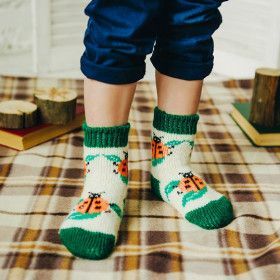 Children's knee socks. 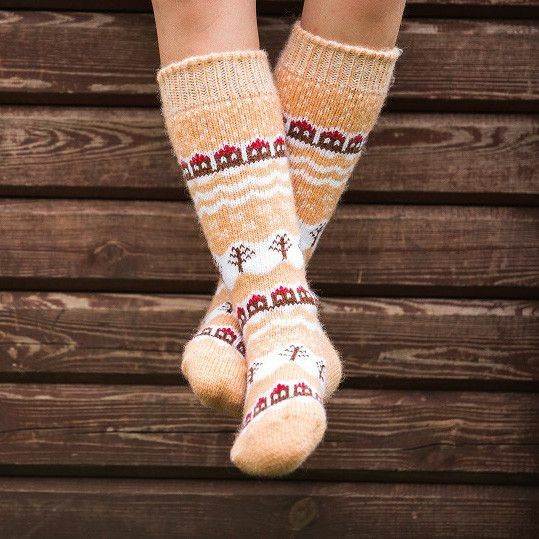 These knee socks are made of the best high-quality wool. Natural material makes knee socks very warm and comfortable in use. Knee socks don't lose good effect even after a set of washings. 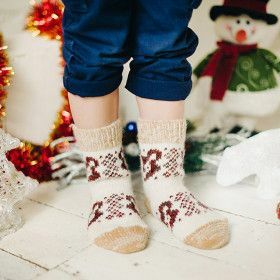 We add merino or goat wool to the New Zealand wool - that combination gives additional silkiness and softness to the knee socks. For the additory strength and hard-wearing we include 10% of lavsan fibre to the composition.